Some time ago, probably a long time ago, I couldn't resist buying a skein of yarn from Anna Gratton Ltd simply because of the colour. 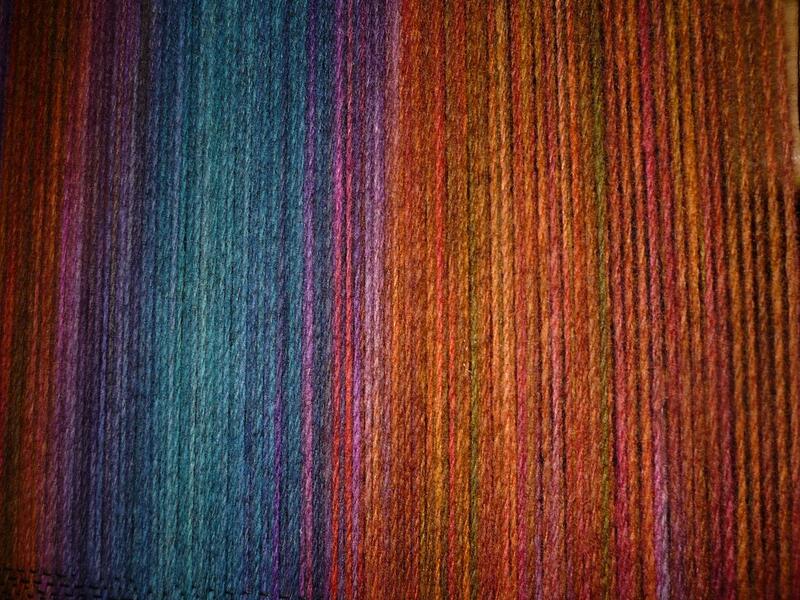 I wish I was a better photographer to be able to show all the nuances of colour but this pic of the threaded warp will give an idea. Would love to know how Anna does it! 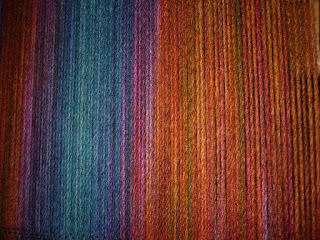 I manipulated the yarn in the warp to get the colours to stack and this shot below shows what resulted. 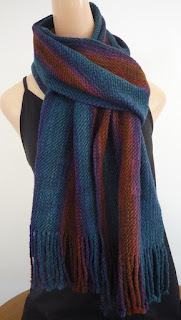 Woven warp faced to highlight the colour. Warp threaded on a 5 end extended twill. Weft a fine black rayon woven in a network twill which was unnecessary as it can't be seen but hey, had to turn the loom on anyway. And the very wearable finished garment. This will be on display at the Creative Fibre Tauranga Exhibition next week.